Welcome to the vegetable growing section of the GardenersHQ website. From this page you can navigate to detailed growing information on all of the veggies that are covered on the site. The Globe Artichoke, scientific name Cynara scolymus, creates a bold and handsome addition to any garden. Asparagus, Latin name, Asparagus officinalis, is a perennial vegetable that is best grown in plots which will not be disturbed. Broccoli is the common name of a popular cool season vegetable with the scientific name Brassica oleracea italica. Cabbage is the common name for the vegetable with the scientific name Brassica oleracea capitata. The Cauliflower (Brassica oleracea var. botrytis) is a tricky vegetable to grow. Read the GardenersHQ quide for tips on how to sucessfully grow cauliflowers. Celeriac (Apium graveolens rapaceum) is grown for its bulbous hypocotyl. A look at how to groe Chard (Beta cicla) in your vegetable garden. Chayote (Sechium edule) belongs to the gourd family. A look at growing Chicory (Cichorium intybus) in the garden. Chick pea, which is scientifically known as Cicer arietinum, is an annual that belongs to the legume family, and it is also known as Garbanzo or Gram. 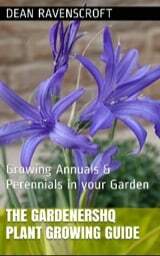 Endive (Cichorium endivia) growing guide. The eggplant, scientific names include Solanum melongena, Solanum gilo and Solanum integrifolium, are delicate perennial plants. Learn about growing Horseradish (Armoracia rusticana) in a controllable manner in your garden. A look at growing, Green, Snap, & Bush beans (Phaseolus vulgaris) in the garden. Learn all about the delicious nutty tubers of Helianthus tuberosus. How to grow the cabbage variety Borecole (Kale: Brassica oleracea acephala). Kohlrabi (Brassica oleracea Gongylodes) growing guide. A look at growing the corn Maize (Zea mays) in the garden. The mung bean, scientific name Vigna radiata, is commonly grown as a sprout. It is rich in vitamins, minerals, proteins, amino acids, and phytochemicals vital for human health, and is especially popular in many Asian cuisines. Get tips and advice on growing muskmelon (Cucumis melo) fruit in your garden. Advice on growing mustard greens and seeds (Brassica juncea). Advice on growing Okra (also known as Gumbo: Abelmoschus esculentus Moench in the garden. A look at how to grow the Parsnip plant (Pastinaca sativa). Gardeners HQ Pea (Pisum sativum) growing guide. Advice on growing Pinto Bean Plants (Phaseolus vulgaris) in the garden.